Tap Tap Revenge had many incarnations. Most TTR apps would hit the #1 spot in the App Store only to fall off soon after. Games in the App Store that actually stayed up there were simple and competitive. That was my vision for the next game – Tap Tap Champ. A way to show everyone else you can tap to music like no other. On my off time, I designed the product. Preserve the heart of TTR – tap to the latest and greatest music! Make players battle for the throne! 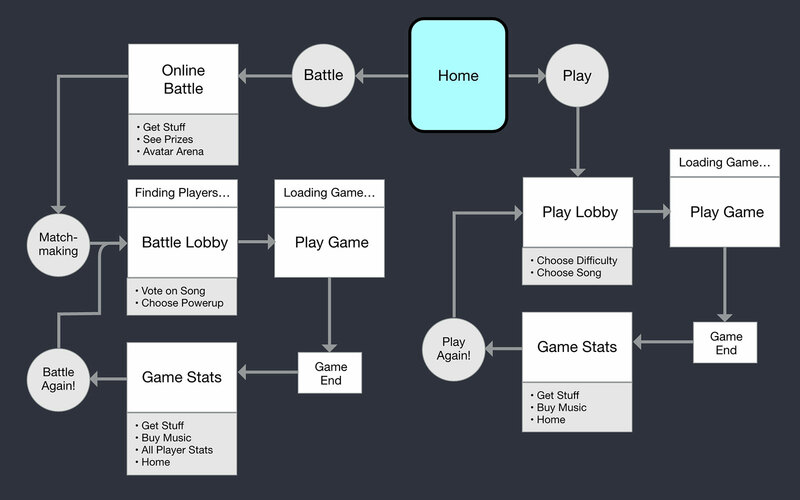 Game design, like any other app, is driven by the user. Therefore, we have to know what kind of players we are targeting. Here’s a player persona based off what we knew about our most devout players. Ranked multiplayer Battle was new to TTR. 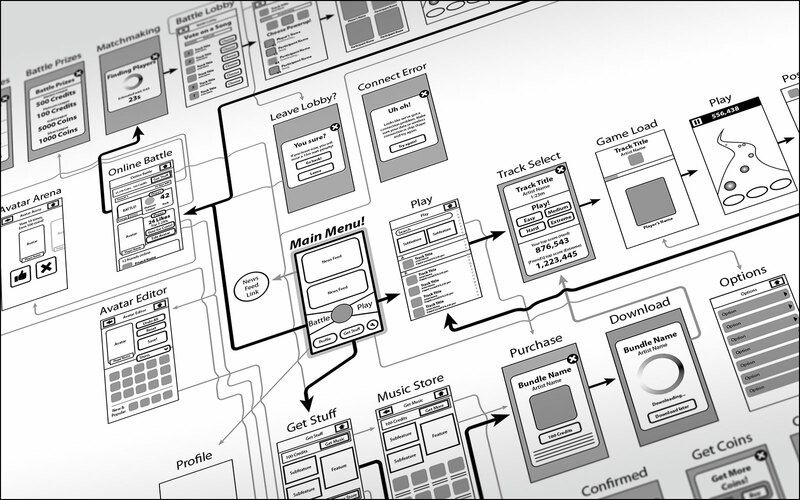 Its game loop design was inspired by League of Legend’s game flow which allowed players to prepare for battle. The UX for the game took into account the new competitive feature. And that was the product–a game people loved with a competitive spirit. Players would duke it out over music they loved, collect coins, and deck out their avatars. What could be better than sporting an epic crown owned only by the top player? Nothing. Nothing at all. If you’re not #1 in the world, perhaps you could take solace in the shiny Diamond League badge next to your avatar. 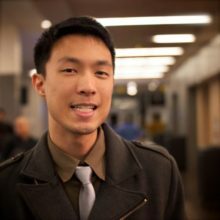 Along with the simplified game design, I wanted to implement new technology that would beautify the game and optimize the experience. 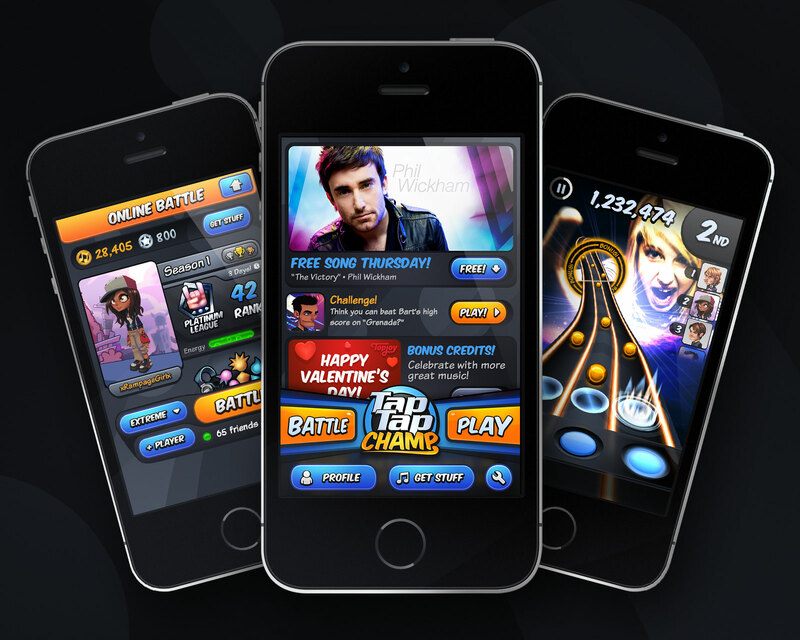 Tap Tap Champ would sport 3D gameplay and SVG-powered graphics. This would allow for dynamic graphics and lightning-fast download speeds in a time when data slugged. Unfortunately, the company decided it was time for Tap Tap Revenge to retire, so retire it did. The game concept remained in the vault ever since. Illustrative art by Mike Henry.